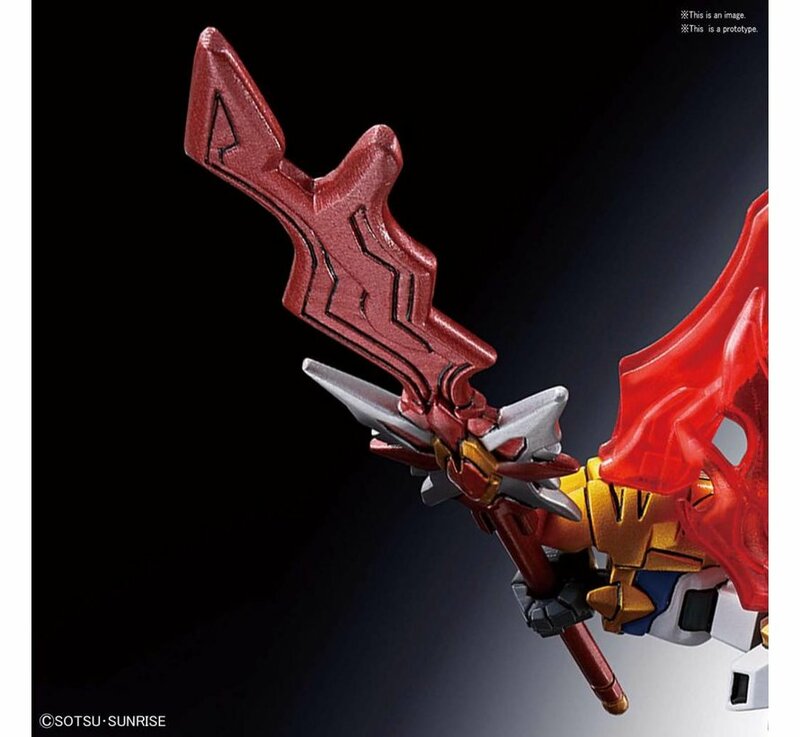 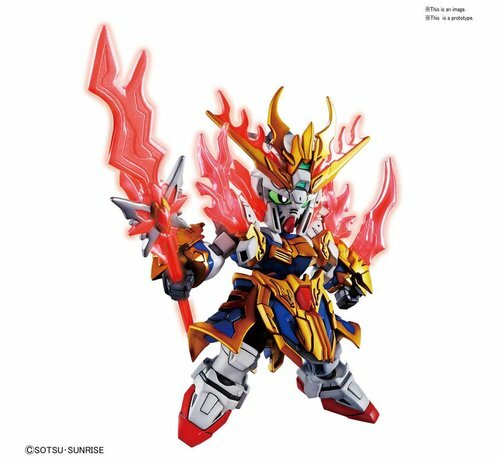 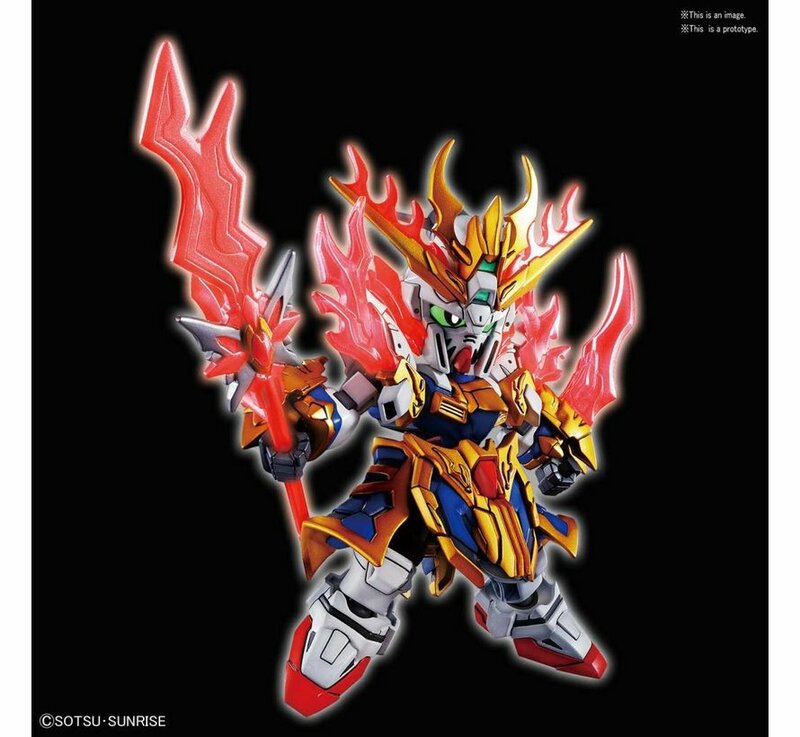 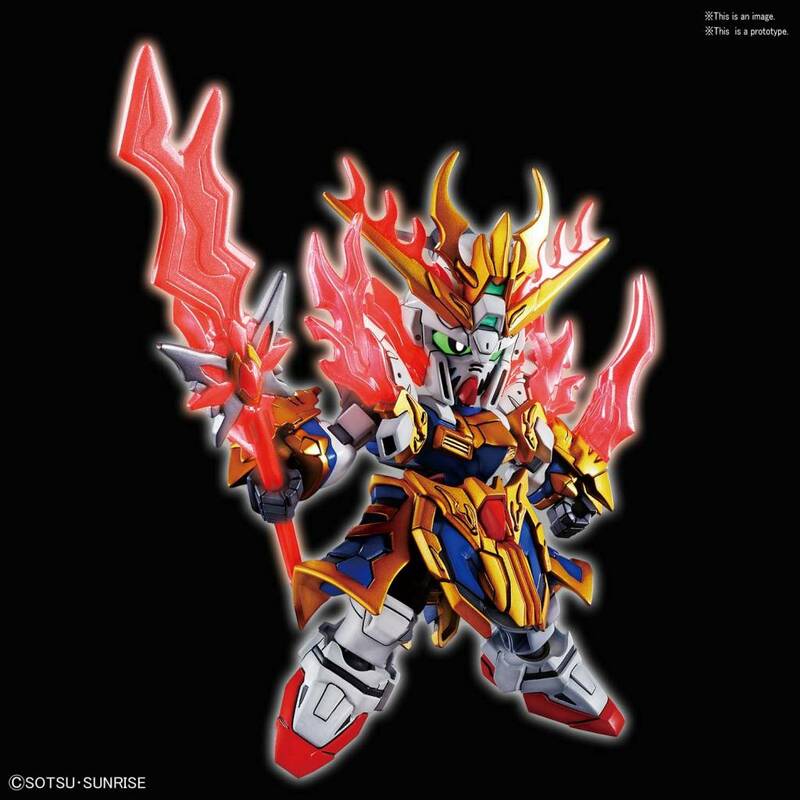 From the new SD Sangokuden series comes the Zhang Fei God Gundam. 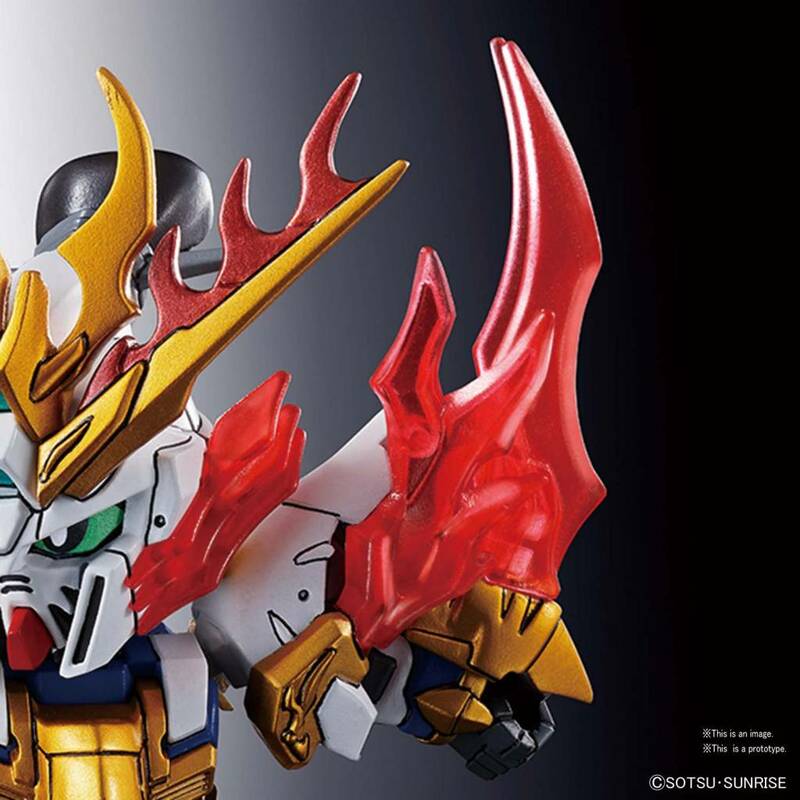 A bold and reckless warrior he along with his allieys Gyuan Yu Nu Gundam and Liu Bei Unicorn Gundam set out to save the world. 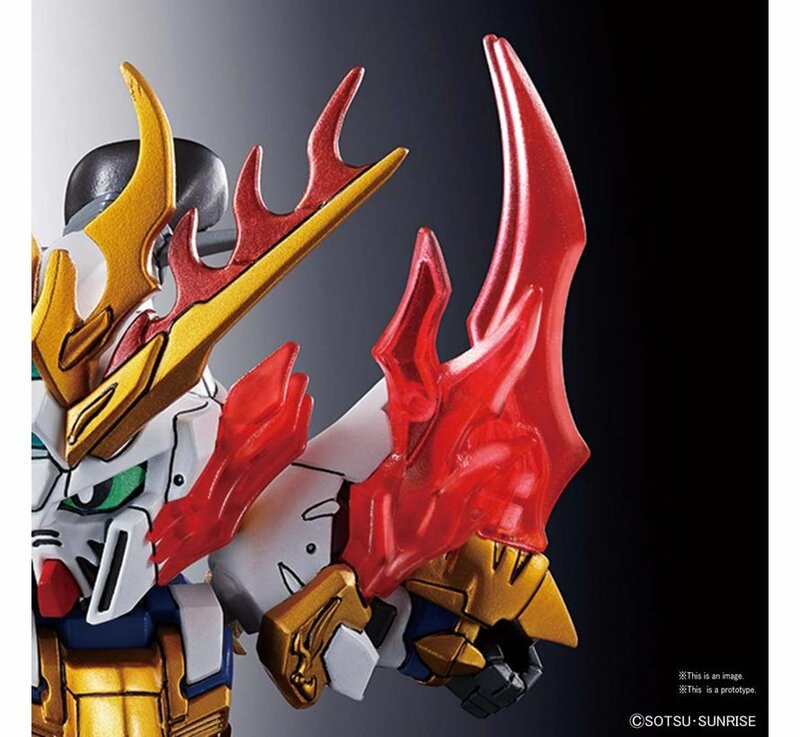 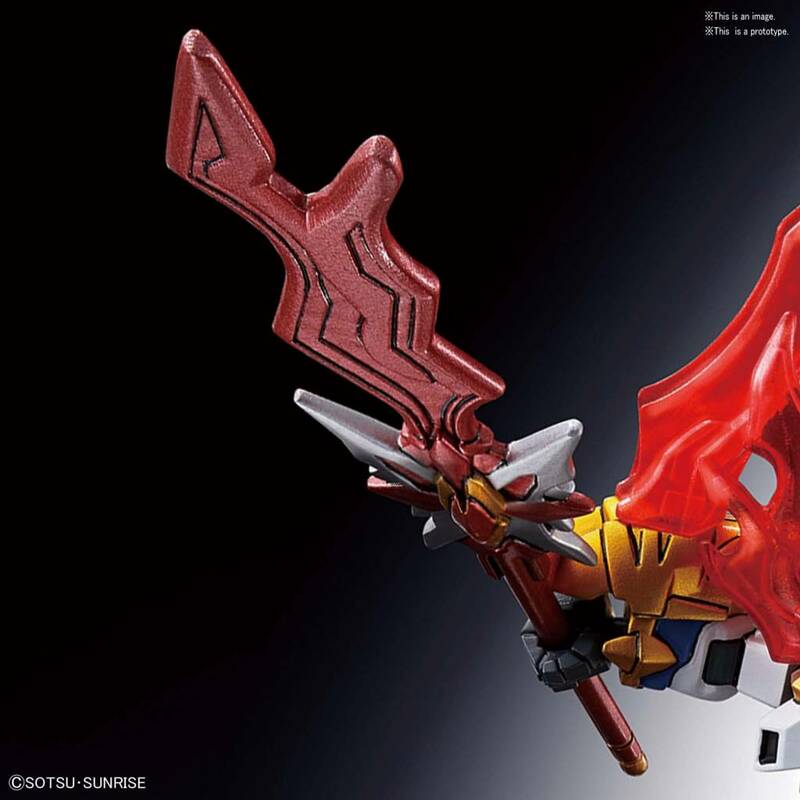 His weapon can be mounted on his back and the large claws on his arms can be combined with Liu Bei's weapon.